Corporations want to increase their bottom line, they recognize the importance of postural ergonomic programs in doing just that. By investing in the health of their employees corporate CEOs are investing in the longevity of the company. 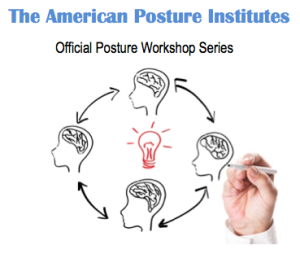 Posture Workshops are the premiere way to predictably grow your practice each month! By implementing regular posture workshops into your clinic you are over delivering value to your current patients. 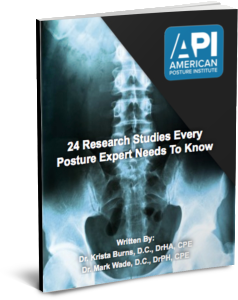 These Research Studies Will Increase Your Certainty and Knowledge On Posture and Give You The Ammunition You Need To Educate People Why Their Posture Is So Important To Their Wellbeing. This E-Guide will provide you with the information necessary to design a posturally and ergonomically correct workspace for local business and corporations and help position you as an authority and ergonomic expert. This guide can help open the doors to performing corporate talks and events. 8 Quick and Easy Steps To Implement Posture Correction Into Your Practice Tomorrow! 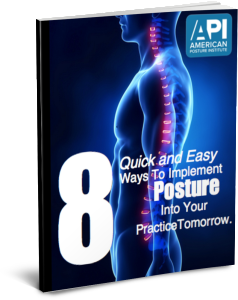 This 15 Page Report Will Show You How To Quickly and Easily Implement Posture Into Your Practice The Right Way! Don’t Over Spend Or Over Complicate. Choose From 8 Options, Implement 1 or All And Start Building A Posture Practice. 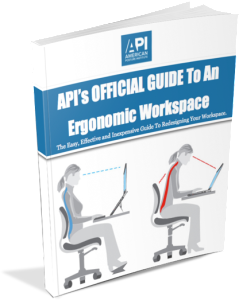 API's Official Ergonomic Info Graphic To Proper Ergonomic Workspace Design! 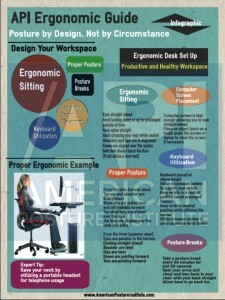 Use this Infographic to educate your patients on Proper Ergonomic Workspace Design. Download, share on social media, email, or print. Then help your patients improve their posture while at work. 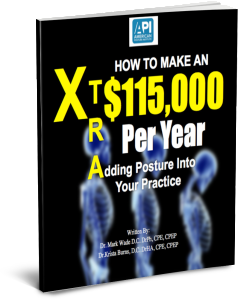 How To Make An Extra $115,000 Per Year By Adding Posture Into Your Practice! This E-Guide will provide you with the information necessary to easily earn an extra six figures this year by adding posture into your practice. We cover EVERYTHING from setting up Posture Workshops, Corporate Posture Talks, Postural Programs For Schools, Posture Screen Referrals, Posture Kits and At Home Posture Programs! How To Land Your First Sports Team! 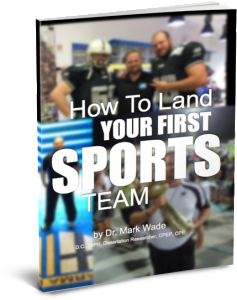 This 23 Page Report Will Show You How To Quickly and Easily Become The Official Posture Expert of Any Sports Team You Desire! Posture Nation Elite is a community for health professionals created by the American Posture Institute. API is the worlds leading professional resource for posture related information, products, and correction systems. Posture Nation Elite is a place for Posture Practitioners to elevate their skills and knowledge to the next level in order to become the Posture Expert, and give their patients the best care possible.